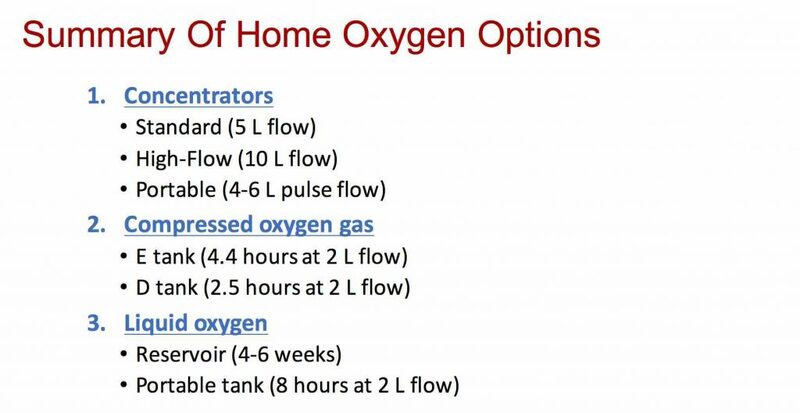 It is pretty common to have to start a patient on home oxygen after discharge from the hospital but ordering oxygen for home use is much different and much more complicated than ordering oxygen in the hospital. 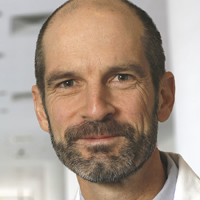 The good news is that our patients have more options than ever before but the bad news is that with more options comes a lot more complexity. In this post, I’ll summarize what you need to know about prescribing home oxygen. The first thing to understand is how Medicare covers home oxygen. Most insurance companies follow whatever Medicare decides, so knowing the Medicare rules will generally apply to other insurance companies. When you order home oxygen through a respiratory therapy company, Medicare will pay that company to provide oxygen for up to 36 months. 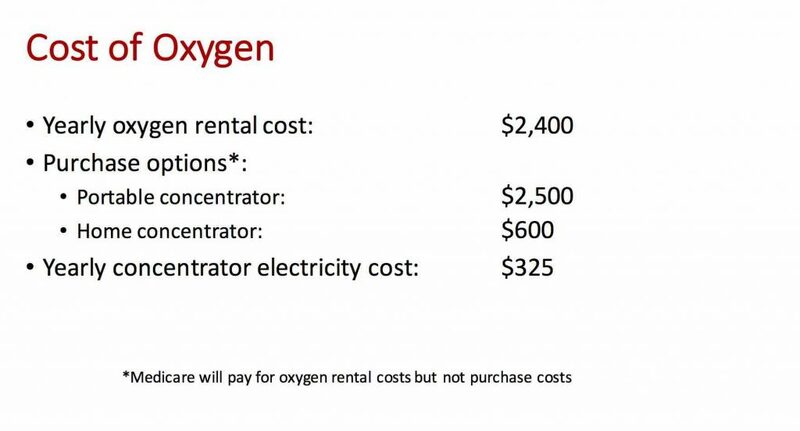 Medicare pays 80% of a fixed amount each month that is supposed to cover the rental of the oxygen equipment (concentrators, oxygen tanks, etc.) plus supplies (oxygen tubing, etc.). This amount varies depending on the geographic location in the country and the specific billing codes used but the Medicare reimbursement is generally in the $150-$200/month range. The patient (or the patient’s supplemental insurance) is responsible for the other 20%. After 36 months, the company has to provide the equipment for 24 months (for free) and Medicare will only reimburse that company a small amount for a “service charge”. After 5 years, the cycle starts all over again. The key operative here is that Medicare will pay to rent equipment but not to buy equipment. This is important because after 3 years, the total amount that a respiratory therapy company can get for rental of expensive equipment, such as a portable oxygen concentrator (total cost about $2,500) is often not enough to cover the cost of that equipment and since the company is then required to supply that equipment for free for the next 2 years, by the time 5 years is up, the equipment is fully depreciated and can’t be re-rented to another patient. The Medicare pricing for the various oxygen HCPCS codes for each state can be found at the CMS Noridian website. Prescribing oxygen requires the physician (or NP/PA) to fill out the Medicare oxygen CMN (certificate of medical necessity) form – this form is usually sent to the patient’s outpatient physician after discharge from the hospital; therefore, having all of the required oxygen qualification information documented in the inpatient medical record or in the discharge summary can make it much easier for the patient’s primary care physician to gather the information necessary to complete the CMN. The amount of oxygen (in liters per minute) that are necessary to return the oxygen level to an acceptable oxygen saturation level. Testing for home oxygen is most commonly done with an “oxygen titration study” (sometimes called an oxygen qualification test). During this test, the oxygen saturation measured using an oximeter and then the patient walks until their oxygen saturation drops below 89%. The patient is then given oxygen and it is turned up to the flow rate necessary to keep the oxygen saturation above 89% while walking. Once oxygen is prescribed, there are several choices you will need to make. Often, oxygen equipment is obtained from a home health or home respiratory therapy company. These companies will usually have several different options for home oxygen and can help the patient select the oxygen option that is best for them. 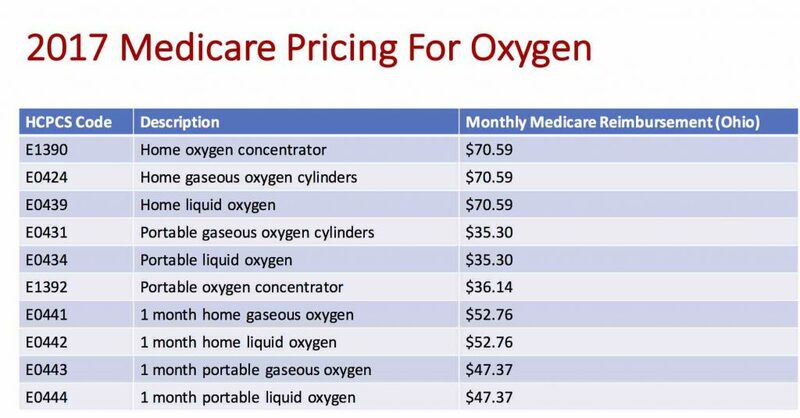 However, because of the way that Medicare pays these companies for home oxygen (monthly payments for rental of oxygen equipment), some oxygen delivery devices, such as portable oxygen concentrators, are not cost-effective and thus not offered by all home oxygen companies. Patients can also purchase oxygen concentrators directly from the manufacturers (more on that below). There are three equipment options for home oxygen: oxygen concentrators, compressed oxygen gas, and liquid oxygen. Stationary oxygen concentrators. These are electrical devices that concentrate the oxygen that is in the regular air. 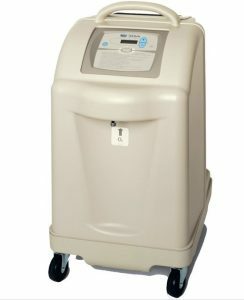 Stationary oxygen concentrators are large machines about the size of a large suitcase that are meant to be kept in one location in the home. Patients can connect oxygen tubing up to 50 feet in length for mobility within their house. There are two general types of stationary oxygen concentrators: those that go to 5-6 L flow rate and those that go up to 8-10 L flow rate (“high flow” concentrators). Although these can be purchased directly from manufacturers, most patients rent a stationary oxygen concentrator from a home respiratory therapy company. Portable oxygen concentrators. These are smaller devices that are about the size of a toaster and weigh about 4-7 pounds. They are electrically powered and can be run off of batteries, a regular wall socket, or an automobile’s electrical system. The batteries are rechargable and can last up to 10 hours depending on the oxygen flow rate setting. Most portable oxygen concentrators will provide up to 4 L oxygen flow but some of the larger devices will go up to 6 L oxygen flow. Most portable oxygen concentrators will deliver oxygen by either “continuous flow” or “oxygen conserving flow”. Continuous flow means that the oxygen flows continuously whether you are breathing in or out. Oxygen conserving flow means that the oxygen only flows when you are breathing in. Because it takes energy to make the oxygen, the battery will last longer when set to oxygen conserving flow. Portable oxygen concentrators are a good option for patients who are frequently out of the house, who have a house big enough that 50 feet of oxygen tubing is insufficient, who travel by car, or who travel by airplane (portable oxygen concentrators are the only oxygen equipment permitted by commercial oxygen companies). Some home respiratory therapy companies will offer at least one brand of portable oxygen concentrator but there are many companies that make oxygen concentrators and for many patients, it is easier to purchase their own portable oxygen concentrator directly from the company in order to get the specific brand that they prefer. 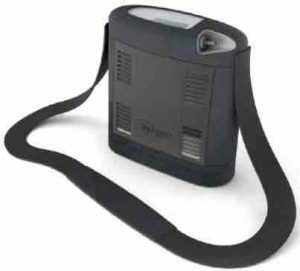 Most portable oxygen concentrators cost about $2,500 to $3,000. Some of the popular brands include: Inogen, Airsep, Inova, Respironics, and Invacare. Compressed oxygen gas. These are supplied by a home oxygen supply company or home health company. 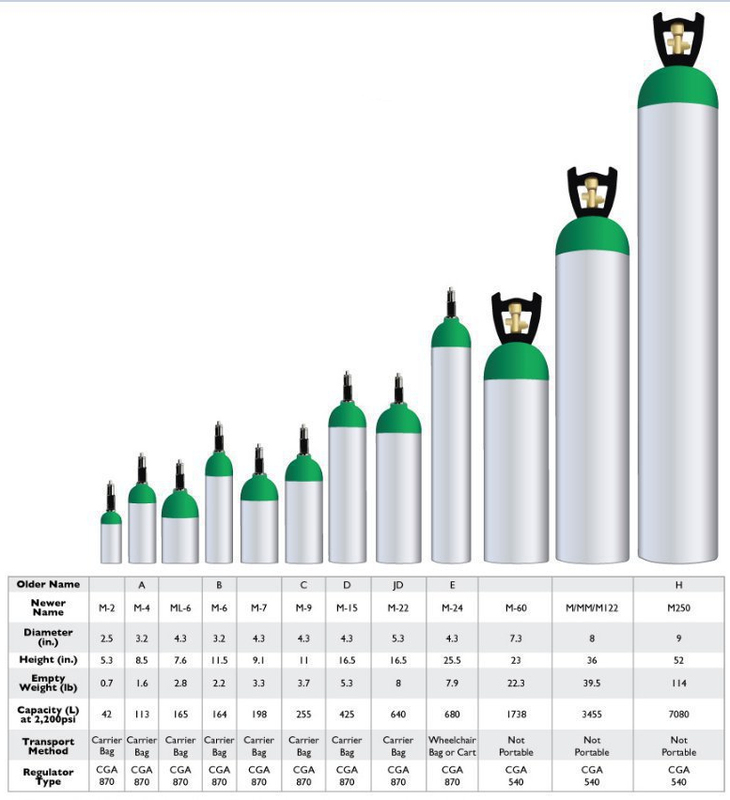 There are many different sizes of the oxygen cylinders. Very large stationary tanks (H cylinders) are designed to be back-ups to the stationary oxygen concentrators (for example, in event of a power outage) and are meant to be left in one place in the home (they are not portable). Medium sized tanks (E cylinders) are designed to be pulled in a wheeled cart that looks a little like a cart used to carry a golf bag. They are difficult to get in and out of cars and are difficult to go up and down stairs with; depending on the flow rate, these will usually last 2-8 hours. Small sized tanks (M-6 cylinders) are designed to be carried over the shoulder or in a backpack. The small sized tanks are usually used with an oxygen conserving device to make them last longer; depending on the flow rate, these will usually last 1-4 hours. Many of the small sized oxygen tanks can be recharged from a stationary oxygen concentrator. Liquid oxygen. Oxygen in liquid form is much more dense than oxygen in gas form. Liquid oxygen reservoirs are devices that are about 2-3 feet tall and plug into the wall electrical socket. The reservoirs are very heavy and cannot be moved around the house easily. They will usually last several weeks and then are replaced by a home oxygen supply company. One advantage of liquid oxygen reservoirs is that they can be run at a very high oxygen flow rate (10-15 L) for patients who require a lot of oxygen. Liquid oxygen can also be used with small portable tanks that weigh 3.5 to 5.5 pounds (for example, Helios brand). An advantage of the portable liquid oxygen tanks is that they last much longer than compressed oxygen gas tanks (usually 4-22 hours depending on the flow rate and size of the tank). 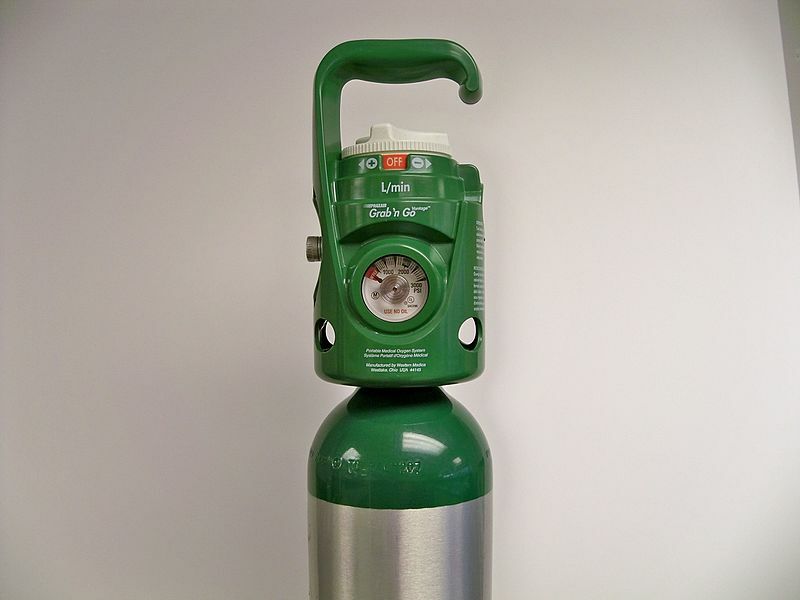 The portable oxygen tanks can be quickly refilled from the liquid oxygen reservoir. Be sure that you plan ahead when traveling outside of the house so that you do not run out of oxygen. Always take extra tanks or batteries (for portable concentrators) in case your traveling takes longer than anticipated. Do not take your oxygen off in the shower – water will not hurt the oxygen tubing. Keep any electrical equipment (such as oxygen concentrators) outside the shower so the electrical equipment does not get wet. If you use a higher flow rate with exercise than when you are at rest, turn the oxygen to the higher flow rate a minute or two before you begin your activities. For example, if you need 2 L flow at rest but 5 L with exertion and you are getting ready to walk up the stairs, be sure to turn the oxygen up to 5 L before you get up to walk up the stairs. You can purchase a finger oximeter at your pharmacy or on-line to help guide your oxygen flow rate. These cost as little as $35. Do not smoke in a house with oxygen equipment in it. Also, do not use your oxygen when you are around open flames (such as a gas oven or gas grill). Above all, never smoke while using oxygen – it will cause serious or even life-threatening burns to the face and nose. Let your power company know that you are on oxygen so that your home can be targeted to have power restored earlier in event of a power shortage. Let your local fire department know that you have oxygen in the home. Consider placing an “oxygen in use” sign on the door. Oxygen can dry out the nose and this can result in the nose feeling dry, nose bleeds, or sometimes an excessively watery nose (as the nose tries to counterbalance the drying effect of the oxygen). If this happens, try using over-the-counter saline nose spray every few hours to keep the nasal passages moist. You can also use water-based lubricants (such as K-Y jelly) but do not use oil-based lubricants (such as vasoline). You cannot get addicted to supplemental oxygen. Either you need it or you do not need it but you will not become dependent on it just by wearing it. Sometimes, you may need to use the oxygen more often that usual, for example, if you get pneumonia. Once the pneumonia clears up, you can usually go back to your previous oxygen flow rate. Personally, I like the portable oxygen concentrators. If money is not a barrier, I think purchasing (or renting) a stationary concentrator for primary home use plus also purchasing a portable concentrator for use outside of the home gives patients the most freedom and convenience. With home oxygen options, you get what you pay for and even though the better-made portable concentrators are more expensive and are often not be covered by Medicare, they can make life much easier. For patients who don’t have $3,000 to buy a stationary plus portable concentrator, a home respiratory therapy company can help tailor the equipment that would be covered by Medicare to the patient’s personal needs.